Professor P.K. Yeung joined the aerospace engineering faculty at Georgia Tech in 1992, after a post-doctoral appointment at the Pennsylvania State University. He has held the rank of professor since 2005, and has been a professor of mechanical engineering (by courtesy joint appointment) since 2010. He has held visiting appointments at the Chinese University of Hong Kong (department of physics) and Hong Kong University of Science and Technology (department of mechanical and aerospace engineering). Professor Yeung is a world-class expert in direct numerical simulations of turbulent fluid flow, with a particular interest in intermittency, mixing and dispersion, and in the development of massively parallel computational algorithms which have enabled simulations of the largest size known at the present time. His work has been supported by the National Science Foundation (NSF), the Environmental Protection Agency, the Department of Energy (DOE) Oak Ridge National Laboratory, and several major national supercomputer centers. He has given invited lectures in Germany, India, Israel, and Japan, and has participated in extended research visits in Australia and the United Kingdom. According to the Web of Science his work has been cited nearly 3500 times, with an h-index of 36 as of early 2019. He has been a reviewer for various archival journals and funding agencies. He has served on advisory bodies convened by NSF in the area of advanced cyberinfrastructure. 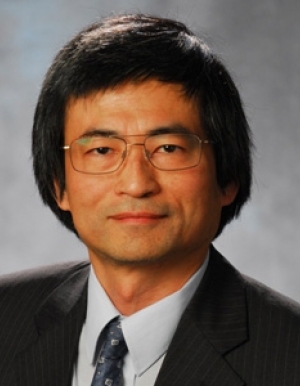 Professor Yeung recently served as chair of the local organizing committee for the 71st Annual Meeting of the Division of Fluid Dynamics of the American Physical Society, in 2018. He has worked with the American Association for the Advancement of Science in offering summer internships for undergraduate students with disabilities. Yeung, P.K. and Pope, S.B. (1989) Lagrangian statistics from direct numerical simulations of isotropic turbulence. Journal of Fluid Mechanics, Vol. 207, pp. 531-586. Yeung, P.K. (2002) Lagrangian investigations of turbulence. Annual Review of Fluid Mechanics. Vol. 34, 115-142. Donzis, D.A., Yeung, P.K. and Sreenivasan, K.R. (2008) Energy dissipation rate and enstrophy in isotropic turbulence: resolution effects and scaling in direct numerical simulations. Physics of Fluids Vol. 20, 045108. Donzis, D.A., Sreenivasan, K.R. and Yeung, P.K. (2010) The Batchelor spectrum for mixing of passive scalars in isotropic turbulence. Flow, Turbulence and Combustion, Vol. 85, 549-566. Yeung, P.K., Zhai, X.M. and Sreenivasan, K.R. (2015) Extreme events in computational turbulence. Proceedings of the National Academy of Sciences, Vol. 112, 12633-12638. Buaria, D., Yeung, P.K. and Sawford, B.L. (2016) A Lagrangian study of turbulent mixing: forward and backward dispersion of molecular trajectories in isotropic turbulence. Journal of Fluid Mechanics, Vol. 799, 352-382. Clay, M.P., Buaria, D., Yeung, P.K. and Gotoh, T. (2018) GPU acceleration of a petascale application for turbulent mixing at high Schmidt number using OpenMP 4.5. Computer Physics Communications, Vol. 228, 100-114. Yeung, P.K., Sreenivasan, K.R. and Pope, S.B. (2018) Effects of finite spatial and temporal resolution on extreme events in direct numerical simulations of incompressible isotropic turbulence. Physical Review Fluids Vol. 3, 064603. Zhai, X.M. and Yeung, P.K. (2018) The evolution of anisotropy in direct numerical simulations of MHD turbulence in a strong magnetic field on elongated solution domains. Physical Review Fluids Vol. 3, 084602.